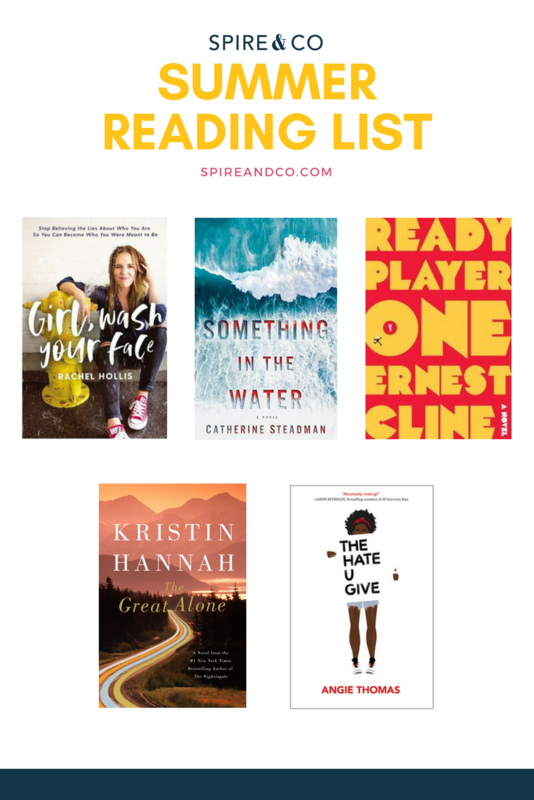 Whether you’re headed to the beach for the weekend or need a new story for your subway ride commuting to work, this list of popular books will leave you inspired and wanting more. From the founder and CEO of Chic Media, Rachel Hollis, comes her new book chock full of advice, funny stories, and honesty. Hollis was named one of Inc. Magazine’s Top 30 Entrepreneurs Under 30, and her writing inspires and captivates. Each chapter of the book starts with a lie Hollis “once believed that left her feeling overwhelmed, unworthy, or ready to give up.” She delves into her personal insecurities and issues, relationships, and work to break down the barriers to self-confidence and inspiration. If you’ve watched “Downton Abbey,” you’ll recognize Catherine Steadman as the famous actress for her role as Mabel Lane Fox, as well as her new role in the Starz show “The Rook.” This is Steadman’s debut novel, and it’s receiving rave reviews for the love-story-turned-thriller. This book tells the story of a couple, Erin and Mark, on their honeymoon in Bora Bora. They discover something in the water while scuba diving that changes the course of their trip. Entwined in the plot is also the story of Erin’s career-making documentary that she’s working on, which consists of interviewing inmates in a local prison. A captivating story with well rounded characters, this book will keep you up at night wondering what’s going to happen next! This book, which was recently released as a blockbuster movie directed by Steven Spielberg, is a worldwide bestseller that tells the futuristic story of teenager Wade Watts and his favorite video game OASIS, a virtual reality utopia. When the creator of OASIS dies, he leaves behind a puzzle hidden in OASIS and promises a fortune to anyone who can solve it. This imaginative and intense book will bring you on a serious adventure through the future and dive into what virtual reality might look like in the years to come. If you’ve read any of Hannah’s previous works (think “Firefly Lane” and “The Nightingale”) then you know how captivating, intense, and real her books can be. This historical fiction novel tells the story of Ernt Albright, a former POW during the Vietnam War who decides to move his wife and thirteen-year-old daughter, Leni, to the wilderness in Alaska. As winter approaches and the days become shorter, Ernt’s mental health deteriorates and Leni and her mother have to learn to fend for themselves. This daring and beautiful novel will keep you up all night! This riveting novel tells the story of sixteen-year-old Starr Carter, a girl who lives in a poor neighborhood but attends a fancy prep school. Starr is “inspired to activism” when she witnesses the fatal shooting of her childhood best friend Khalil. This important novel is based on the Black Lives Matter movement and will make you cry, laugh, and feel inspired to take your own action. The book is also being made into a movie starring Amandla Stenberg (“Everything, Everything”) as Starr Carter, to hit theaters in October. Watch the powerful trailer here. What's on your summer reading list? Share with us in the comments below!